Super Cool Books: FRIENDS OF SUPER COOL BOOKS // Irfan Foner of Comichat Group: "A brave comic artist is one who never gives up even after many rejections." FRIENDS OF SUPER COOL BOOKS // Irfan Foner of Comichat Group: "A brave comic artist is one who never gives up even after many rejections." I had a wonderful time at the Asian Festival of Children’s Content this year. (Read about my experience here, here and here.) After I gave my talk on DIY digital publishing, I was introduced to lots of other creative people from around the region who shared similar creative ideas and publishing goals. Last week I featured children’s book author Geckojoy. 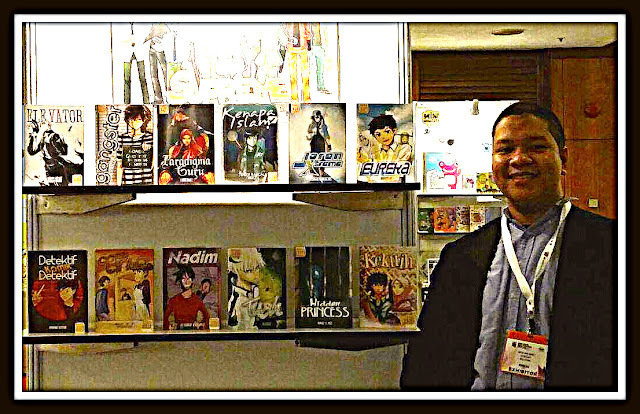 In this post you’ll hear from Irfan Foner of Comichat Group, a young and dynamic Malaysian with a really passionate dream: to help the comic artists in his community grow and achieve professional success. Here's his story. “My name is Irfan Ramli, and the nickname that I've given myself is Foner. I am the CEO of Comichat Group (sounds like it is a big company, but it's not. Seriously). We started one sunny day in December 2013, with 20 local comic fans gathered around and chatting about their passion, comics. Basically my role is a Literary Agent, focusing on Comics & Illustration. In my case, or rather, Comichat's, we are a middle man between three parties, the Publishers, the Artists and the Readers. We gather all the amateur Comic Artists and help them to get published. Why is a Literary Agent needed to help them, when they can do it by themselves? It looks simple, but many writers or comic artists have been rejected by publishers. And they never knew why. The fortunate thing is, we know WHY. And we make this our business. 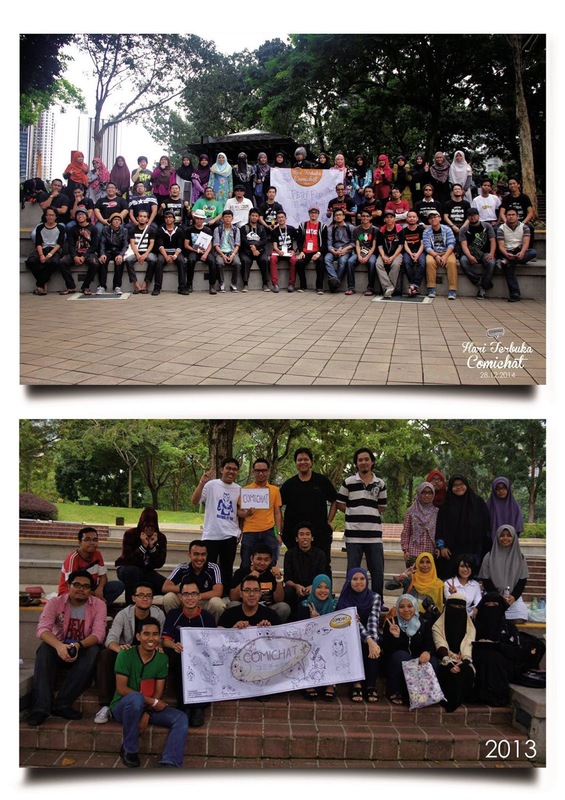 Our vision is simple (and this is the reason why I chose to start Comichat), to change our community's perception towards comics. The first objective of our company was to do something for the local comics industry. We also planned to be a publisher. To publish lots of comics and to have millions of readers. Yeah, daydreaming. Until we found out the truth about becoming a publisher, it is not only about drawing and printing, and we half gave up that idea and looked for something else. But one day, we were invited by our partner back then to follow them around, doing some promotions and selling books in schools. We were so excited and impressed, knowing there was a very big potential market in schools. In March this year, we decided to restructure our company and restate our objectives. We decided to make Comichat a group of companies, with 3 sub-companies under it. They are: Comichat Trading, Comichat Service and Comichat Education/Academy. 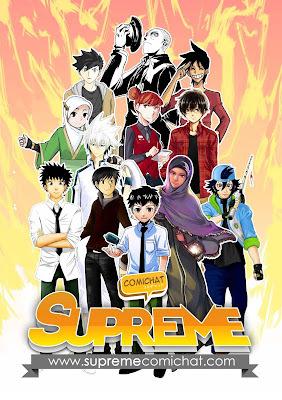 Now, we have two main channels to help local comic artists, which we call SUPREME (http://www.supremecomichat.com) and PENCIL (http://www.pencilcomichat.weebly.com). Supreme Comichat is the channel where we allow amateur artists to test their best manuscripts on our platform and battle it out with other artists. Pencil Comichat is a channel where we propose comic projects to publishers. We managed to persuade two non-comics publishers to publish the comics. And it was an achievement for us. The challenges are so obvious. It's hard to deal with artists who like to work alone, and never care about others, thinking they can survive by themselves and never interested to learn more. With no research, lack of exposure and networking, no information and no experience, it's hard for any new artist to come out with a very good product. Also, lack of survival skills. Most of the artists can make products, but are not good at management.